Texas A&M University continues to highlight student project work accomplishments through the inaugural Virtual Project Showcase this fall, with the showcase winners recently being announced. The Virtual Project Showcase provided engineering undergraduate students a platform to share their innovative projects with industry members nationwide. Industry professionals were invited to participate and judge remotely, which Magda Lagoudas, executive director of Industry and Nonprofit Partnerships and instructional associate professor, said gave them an opportunity to see the exciting projects students are involved with and the quality of work they can deliver to sponsors. Industries sponsoring a student project gained great value while supporting the university’s goals to develop the engineers of tomorrow. “We opened this up to noncapstone students too, because it’s so important for all engineering students to be able to showcase their projects and ideas. 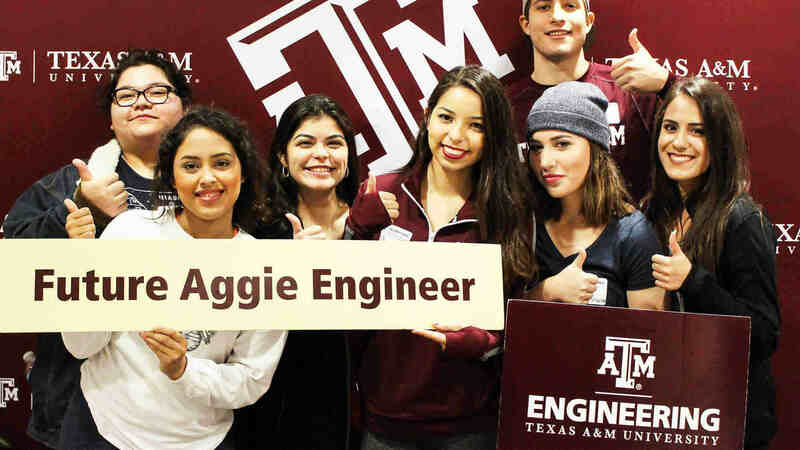 By making a video presentation, they’re also gaining valuable experience pitching innovative solutions—something that will help them when they leave Texas A&M and enter the workforce or become entrepreneurs,” Lagoudas said. Undergraduate students submitted a two to four-minute video describing their project and were encouraged to include images of prototypes or engineering analysis as support materials. In total, 85 teams representing more than 300 students from across the college submitted videos. 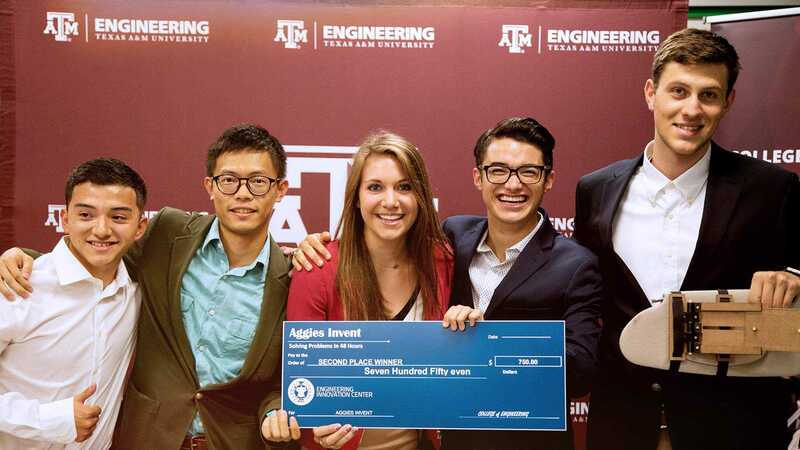 A majority of the entries represented senior capstone design projects, while the remaining represented noncapstone projects such as AggiE-Challenge, design competitions and other projects. Christian Alejandro, member of the first-place team, said the Pressure Vessel Project was a stimulating and challenging endeavor. The project’s goal was to improve and present a pressure vessel design after a previous pressure vessel had failed after 30 years of use. Alejandro said while explaining a two-semester project in under five minutes was a challenge, the team took away valuable lessons from the experience. “We believe that continuing this type of showcase could be beneficial to both the university and its students,” Alejandro said. The WE AUV team built a vehicle from scratch that could compete at the annual Association for Unmanned Vehicle Systems International RoboSub challenge in California, where AUVs must navigate a rigorous obstacle course. Team member and Engineering Honors student Abishalini Sivaraman said the showcase provided the team an opportunity to explain what they had learned and perfect their video making and editing skills for competition. "The showcase has given us the platform to reach out to many students about the existence of the team," Sivaraman said. Women in Engineering director, Shawna Fletcher, said the WE AUV team was established in the fall of 2015 to offer opportunities for women to participate in technical challenges. About 60 judges representing 28 industries participated in the judging. Each video was judged by three different judges who were assigned to videos randomly. Teams were judged on their ability to define the problem, discuss their design methodology, present and support technical project outcomes, and their overall video presentation. The top videos in the senior capstone and noncapstone categories received a monetary prize.